I made this game so that pupils could practise BE GOING TO in questions and answers. I developped this game after having downloaded another version on chores made by Marshmallow. Thanks to her! It´s a listening activity based on the following video: http://www.youtube.com/watch?v=fyvGWWrKYIo#t=29 The pupils have to tick the job they hear. This is a worksheet which aims at analysing the song by Midnight Oil. The pupils have to complete the lyrics thanks to images and then check their answers with the song. Then, they complete a crossword to define some words and finally they analyse the message of the song. 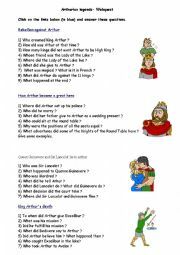 Hi, here is a webquest I made for pupils to look for information on King Arthur´s legend during their holidays. Enjoy! 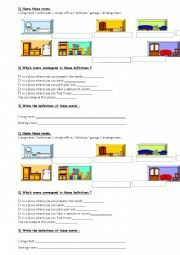 I used this worksheet in a unit on houses. Pupils have to label pictures, find words corresponding to definitions and then write two definitions. 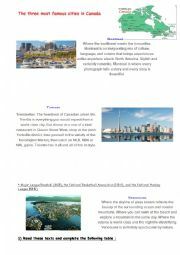 I used this document in a unit on Canada; pupils have to pick up information from those three texts and then use the adjectives to promote one of the three cities. Ex: If you want to visit a stylish and romantic city, you should go to Montreal. 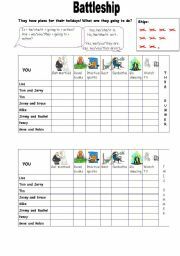 This is a reading activity I used in a sequence entitled shipwreck. This is an interesting article based on a true story. The pupils will eventually have to write their account as castaways on a deserted island. I used this document in a sequence entitled "visiting Australia"in which the pupils had to create a travel guide on that country. 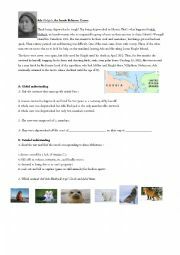 This worksheet was used after an oral activity (see the powerpoint for that matter)aiming at promoting Australian sites with superlatives. 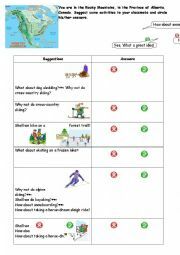 This is a speaking activity; the pupils have to ask and answer questions in pairs to practice making suggestions. Enjoy! This document has been saved as a libreoffice document; this is why some sentences or pictures are misplaced. An interactive way to teach WANT SB DO STH, LET SB DO STH and MAKE SB DO STH to pupils as these structures are most of the time difficult for them to remember! 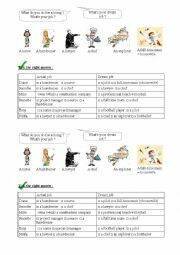 In this ppt, pupils learn how to use CAN,CAN´T, MUST and MUSTN´T in an oral activity. They have to match rules with the right places. I used this document in a sequence entitled "visiting Australia"in which the pupils had to create a travel guide on that country. 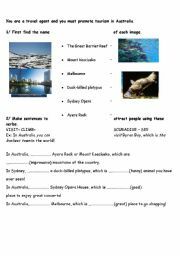 This ppt was used as an oral activity aiming at promoting Australian sites with superlatives.